How we collect and store information depends on the pages of this website you visit, the activities in which you participate and the Services you use. You can use some of the Services without providing any information other than that automatically collected as described below. We may collect different types of information about your location, including general information (e.g., IP address, zip code) and more specific information (e.g., GPS-based functionality on mobile devices used to access the Services), and may use that information to customize the Services with location-based information, advertising, and features. For example, if your IP address indicates an origin in Chicago, the Services may be customized with Chicago-specific information and advertisements. In order to do this, your location information may be shared with our agents, vendors or advertisers. If you access the Services through a mobile device and you do not want your device to provide us with location-tracking information, you can disable the GPS or other location-tracking functions on your device, provided your device allows you to do this. See your device manufacturer’s instructions for further details. When you use the Services, we use persistent and session cookies and other similar tracking technologies to: (a) analyze the usage of our sites and Services by collecting the information discussed in section 1.2.1 above; (b) customize the Services to your preferences; and (c) control the advertising displayed by the Services, as well as advertisements that may be displayed on other websites or mobile applications. The cookies may reflect de-identified data linked to or derived from data you voluntarily have submitted to us, e.g., a hashed version of your email address that we may share with service providers, solely in non-human readable form. We and our vendors may also use other Internet technologies, such as Flash technologies, Web beacons or pixel tags, and other similar technologies, to deliver or communicate with cookies and track your use of the Services, as well as serve you ads when you are using our Services and/or when you are on other websites when those cookies can be accessed. We also may include Web beacons in e-mail messages or newsletters to determine whether the message has been opened and for other analytics. As we adopt additional technologies, we may also gather additional information through other methods. We may obtain additional information about you from third parties such as service providers, credit bureaus, marketers, partners, researchers, and others. We may also receive information from lenders regarding the status of your application including, but not limited to, the amount or disposition of your loan. This information may include your Social Security number, FICO score, credit report, transaction history, payment history, name, phone number, email address, ZIP code, whether you have received loan offers, and which loan offers you have received. We may combine information that we collect from you with information about you that we obtain from such third parties and information derived from any other subscription, product, or service we provide. We may send you commercial emails regarding products you may be interested in. Each such email we send you will have an opt-out that you can use to stop receiving such communications. If you opt out of receiving commercial emails about products we think you may be interested in, we may still send you emails about any services you have requested or received from us. We may share your information with any agent or company that is part of Hearth in order to provide the Services or advertising or to communicate with you on our behalf. In submitting an inquiry for a loan product or other service offered through this website, you are acknowledging and agreeing to the disclosure of information you have provided or that we have received from third parties to lenders in our network ("Lenders") with whom you are or may be matched. We may also use the information you provide or that we obtain from third parties to submit to credit reporting agencies to conduct a soft credit pull inquiry. 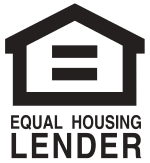 Please note that no hard inquiry of credit will be performed by Hearth or its network Lenders unless you authorize us to do so by submitting a completed loan request. NOTE THAT even if you do not provide your Social Security number, we may access your credit file to assist in the prevention of identity theft and to verify your request is accurate and complete. Not all network Lenders will obtain your SSN and each Lender has its own requirements, disclosures and consent requirements. BE AWARE that the Lenders with whom you are matched may retain or use your information whether or not you use their services and you should contact these Lenders directly concerning their privacy and information sharing practices which may differ from Hearth. When you express interest in other products, services, promotions that we offer (by, for example, completing an inquiry for such services), we will share your request or expression of interest with the businesses with which we partner to offer you those products, services and promotions, and, as applicable, with their affiliates and third party finder or marketing companies (collectively, “Business Providers”). When you choose to participate in a particular offer or program, you authorize us to provide information and other personally identifiable information to those Business Providers. Be aware the Business Providers with whom we share your information and other personally identifiable information may retain or use your information whether or not you use their services and you should contact these parties directly concerning their privacy and information sharing practices which may differ from ours. We may share your personal information with our authorized service providers that perform certain services on our behalf including, but not limited to service providers that perform services on our behalf in connection with your request for a loan or the funding, sale and/or servicing of your loan. These third parties include, without limitation credit bureaus, marketing and customer services firms, or entities that provide business analysis or website support. These third parties may have access to information and other personally identifiable information needed to perform their functions. We may also share your information with other third-parties with whom we have a contractual relationship for their own direct marketing or advertising purposes. We may disclose your information in connection with reporting required in connection with state and/or federal licensing requirements. You authorize Hearth to obtain any and all necessary information required from the Lender or Provider you choose to report back any and all required information relating to the disposition of your request. For example, if the loan closed, if you withdrew the request, and/or if you were not approved. In addition, under current reporting requirements the lender may provide to Hearth the loan you selected, the terms of the same, fees, rate, APR etc. in order to comply with current laws and regulations. We may share your information in connection with any proposed or actual merger, reorganization, transfer of control, a sale of some or all Hearth assets, or a financing or acquisition of all or a portion of our business by another company. We may employ third-party software provided by FullStory, Inc. to improve the quality of the Services. This allows Hearth to review a video-playback of your use of Services and any other activity on Hearth’s website. By using this site, you expressly consent to Shogun’s use of FullStory Inc.’s service. If you would like to opt-out, please click here. We may employ third-party software provided by UXCam, Inc. to improve the quality of the Services. This allows Hearth to review a video-playback of your use of Services and any other activity on Hearth’s website. By using this site, you expressly consent to Shogun’s use of UXCam Inc.’s service. If you would like to opt-out, please email us at support@gethearth.com. If you are a contractor and were referred to us by a third-party partner, we may share information about you, including but not limited to your subscription status, usage data, and information about any loans obtained or loan requests made by customers using your co-branded page. 4. Hearth's use of online analytics and tailored advertising. We may use third-party web analytics services on our Services, such as those of Google Analytics. These service providers use the sort of technology described in Section 1.2 to help us analyze how users use the Services, including by noting the third-party website from which you arrive. The information (including your IP address) collected by the technology will be disclosed to or collected directly by these service providers, who use the information to evaluate your use of the Services. We may also use Google Analytics for certain purposes related to advertising, as described in the following section. To prevent Google Analytics from using your information for analytics, you may install the Google Analytics Opt-out Browser Add-on by clicking here. When you use the Service, Hearth may serve you with ads based on various factors such as the content of the page you are visiting, information you provide, your searches, demographic data, user-generated content and other information that you provide to us. These ads may be based on your current activity or your activity over time and may be tailored to your interests. When using a mobile application, you may also receive tailored in-application advertisements. Each operating system, iOS for Apple phones, Android for Android devices and Windows for Microsoft devices provides its own instructions on how to prevent the delivery of tailored in-application advertisements. You may review the support materials and/or the privacy settings for the respective operating systems in order to opt-out of tailored in-application advertisements. For any other devices and/or operating systems, please visit the privacy settings for the applicable device or contact the applicable platform operator. To ensure that you have some control over the information we have about you, you may review and update certain user profile information by logging in to the relevant portions of the Services where such information may be updated (may be available on some Services and not others) or by contacting us at support@gethearth.com. The Services are not intended for persons under the age of 18. We require that only persons 18 years of age or older use the Services. By using the Services, you hereby represent that you are at least 18 years old. Some third parties, such as platform providers like the iTunes Store or Google Play may provide age-based ratings on some of the Services. These ratings shall have no bearing on this limitation. Third parties may also provide content categories on some of the Services. These categories shall have no bearing on this limitation. California law permits users who are California residents to request and obtain from us once a year, free of charge, a list of the third parties to whom we have disclosed their personal information (if any) for their direct marketing purposes in the prior calendar year, as well as the type of personal information disclosed to those parties. If you are a California resident and would like to request this information, please submit your request in an email to support@gethearth.com. If you suspect that someone has had unauthorized access to your Information or access to your personally identifiable information, you should report this crime to your local law enforcement agency and to the Federal Trade Commission (FTC). To speak with a trained FTC telephone counselor, call toll-free 1-877-IDTheft (1-877-438-4338). Or, to enter information about your complaint into a secure FTC online database, visit www.consumer.gov/idtheft. The site also provides links to consumer education materials.